released January 4, 2017 | Recorded live on the 20th Anniversary Tour at Chez Thomas, Mount Laurel, NJ, USA on November 5 2016. These pieces are unedited and the mix is just like what was going out to the P.A. that night. That might include clicks and digital dropouts. Only the third performance of our tour and Markus & Bernhard are all warmed-up and in top form – hard to believe we just started! An inspired performance surrounded by good friends! Unfortunately, we could not stay as long as we wanted to after the show, we had to load out and hightail it to Philly – later tonight (or should I say VERY EARLY tomorrow morning?) 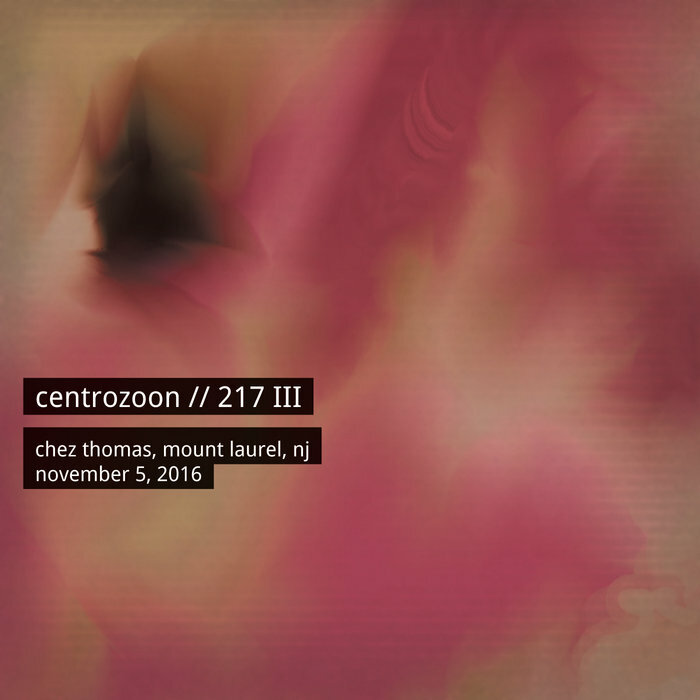 centrozoon is performing live on WXPN’s Star’s End radio show. Many thanks to everyone who came out, so many friends in attendance really make it a special event. An especially big thank you to our hosts John and Donna Thomas for your hospitality and for opening your home for such an extraordinary evening! Mixed and mastered by Markus Reuter using a Moon by Simaudio Neo 230HAD headphone amp/DAC, July 2017.